Home The Frisco - A Look Back at the Saint Louis-San Francisco Railway Frisco Shops, Springfield, Missouri from a distance. 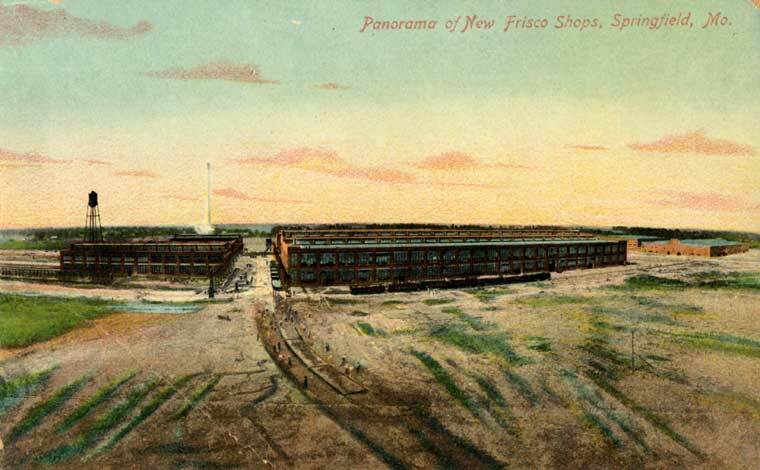 Frisco Shops, Springfield, Missouri from a distance. Title Frisco Shops, Springfield, Missouri from a distance. Title.Alternative Panorama of New Frisco Shops, Springfield, Mo.